IKEN watch parts are all interchangeable. Select parts to make your own color and style combinations! 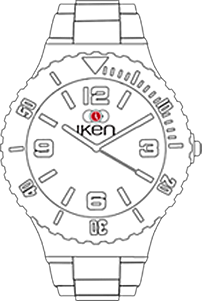 Iken designs and manufactures America's most interchangeable watch. With 5 parts in 12 colors, there are over 250,000 possible combinations. Choose your watch colors.